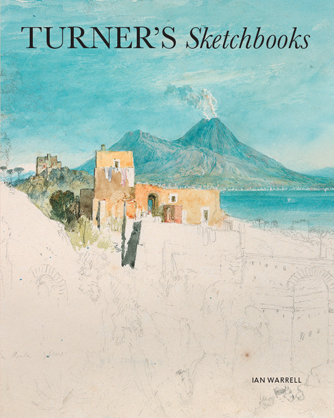 One of the Tate’s greatest treasures are Turner’s sketchbooks which came to the nation as part of the Turner Bequest in 1856. They contain about 37,000 works. Throughout his extensive travels in England and Europe, Turner made sketchbooks in their hundreds. This book clearly demonstrates the range of these and the formidable talent and artistic genius of the man. His unstinting discipline of sketching and capturing a scene, place or figure, for reference, was invaluable to him for future work. The renowned expert on Turner’s work, Ian Warrell, has made an inspiring selection out of from this vast and somewhat daunting collection to present them in a fascinating historical journey throughout the artist’s life.